Suction of dust and particles in woodworking industries. Flame retardant according to DIN 4102 B 1, excellent abrasion resistance, good oil and petrol resistance, resistant to hydrolysis and microbes, permanently antistatic (R <= 109 Ohm), conform to TRGS 727, very good flexibility even at low temperatures, very smooth bore, electrically conductive according to BGI 739 by grounding the wire. 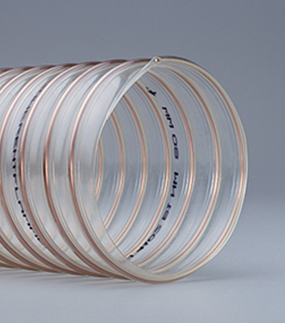 Further diameters available upon request! 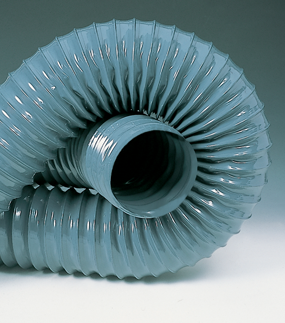 Technical data are based on + 23° C.
Specialist Ducting Supplies LTD has a dedicated team of sales and manufacturing professionals, available to answer any of your questions and provide you with comprehensive information that will cover all of your ducting needs. 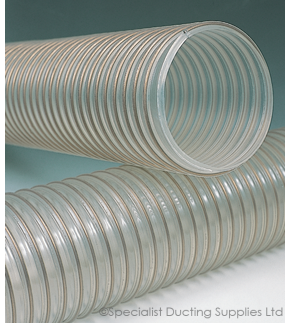 Specialist Ducting Supplies Ltd, is a BS EN ISO 9001:2015 quality approved company that supplies flexible hose, flexible ducting, flexible tubing and fittings from many of the worlds leading manufacturers. 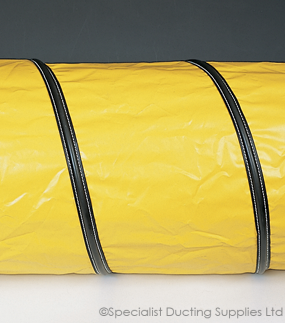 SDS also have the facilities to manufacture hose assemblies and supply kits to customer specification. 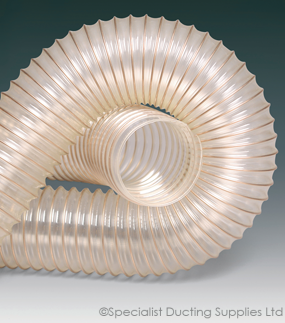 SDS work closely with their suppliers of flexible hose, flexible ducting, flexible tubing and fittings to develop new products for specific applications to maintain its position as a leading supplier of flexible hose, flexible ducting, flexible tubing and fittings.